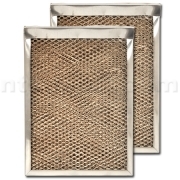 The Totaline Humidifier Water Panel replacement filters and water pads are made by an industry leading manufacturer for a variety of home humidifiers, including Carrier, Bryant, Totaline, Aprilaire, Honeywell, Lennox, Trane, American Standard, and many others. 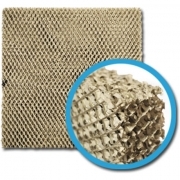 The Totaline humidifier water panel replacement filter is an aluminum mesh covered with a custom coating that absorbs water and filters out contaminates, including mineral deposits. 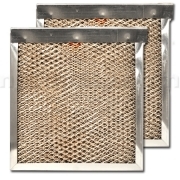 Warm, dry air from your furnace is forced through the water pad and absorbs the moisture, which is then distributed through the home. 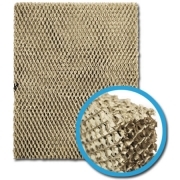 Under normal use, the water pad should be replaced once per heating season. In conditions with hard water, the panel should be replaced twice per season for optimal performance.